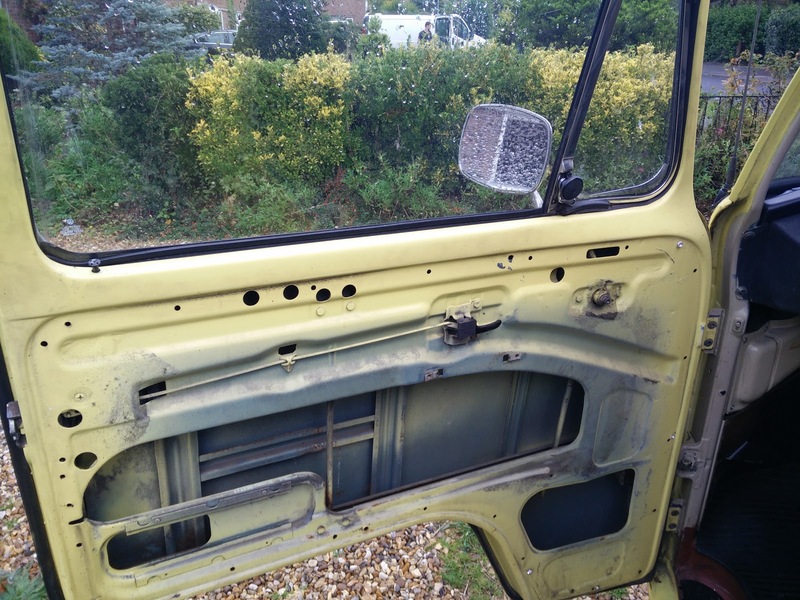 Restoration of my 1977 T2 Late Bay returning it to it's former glory. 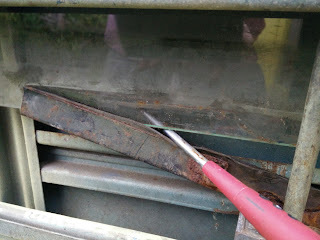 So it's been a while since I've posted on my blog mainly because I have taken a break over the cold winter months the Van (recently named Primrose) has been tucked up under a cover to protect it, but with that said it doesn't mean I haven't been busy. 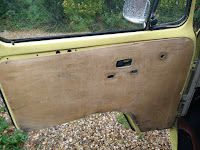 But mostly helping a friend with the restoration of his 1973 GT Beetle if you want to check out his blog head over to http://restoringruy.wordpress.com its a lovely story of his plan to have the beetle restored ready to celebrate the 20th year of him owning the Beetle. 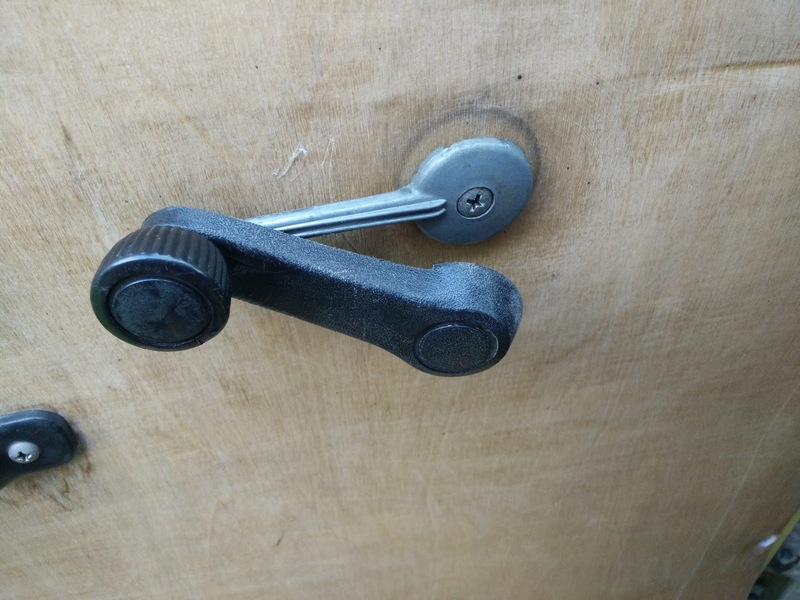 What are you and Where did you come from. 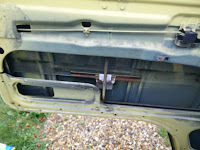 I want to find out the history of the van there are a couple of options the first is to get a Birth Certificate from VW (http://automuseum.volkswagen.de/en/certificates-and-data-sheets.html) but this can take up to 8 weeks, the second and quicker option is a combination of the VIN number and M-Plate. 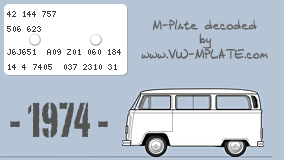 The M-Plate lists most of the information about the van like manufacture date, original paint colour and interior specification, according to many forum posts the M-Plate state that it is located behind the passenger seat or in the cab to the left of the cold air vent behind the kick plate, however I found mine behind the drivers seat and by using vw-mplate.com I have begun to dig into the history of the van and gives me plenty of leads for the restoration. 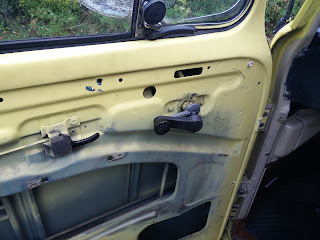 So I broke the window lifter now I have to fix it!!! 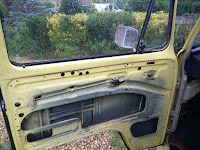 Here's my How To Guide for replacing the window lifter, you can see the small gap at the top of the window where we managed to rig it so it would close at least that far. 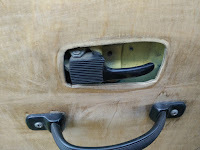 To get to the winder you need remove door furniture and door card. 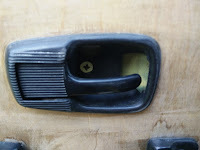 Start by popping the plastic cover off the winder and undo the center screw holding the winder on. 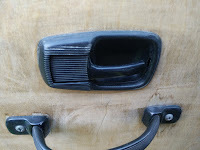 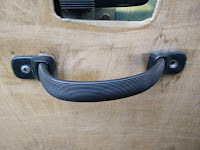 Next remove the door pull this is nice and simple the finger guard pops out you can just see the small gap on the right by the pull lever pop a small flat blade screwdriver in there and lever it out. 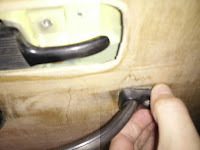 After the finger plate is out you undo the screw behind it and the whole thing comes away except for the actual door pull. 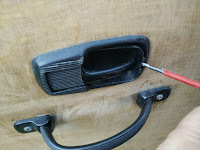 Before the door card will come up you finally need to remove the handle this is as easy as it looks undo the two screws and it should unclip. If your door card is clipped in you should be able to remove the clips and take the door card off, mine was pop riveted on so I had to drill them out before it would come off. Pop the winder back on and screw it in place this will make moving the winder up and down easier. 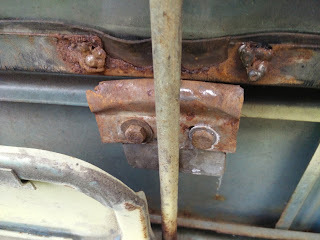 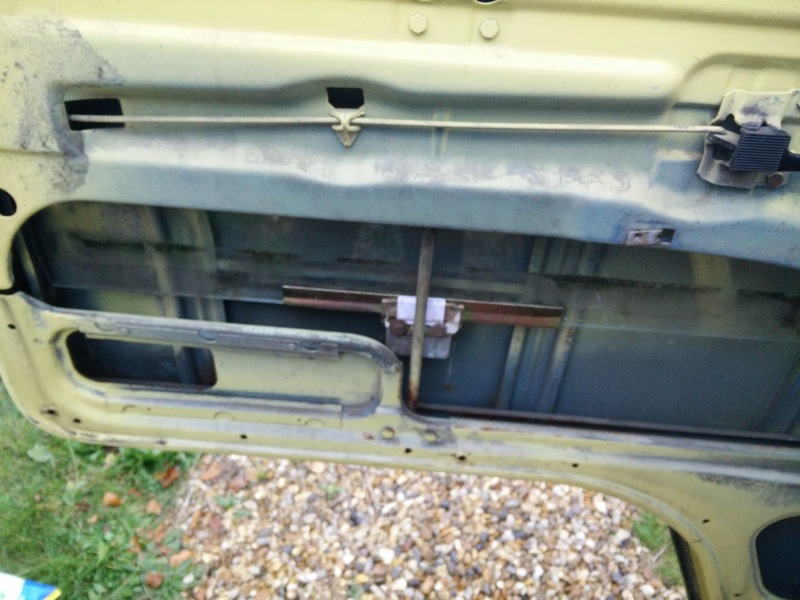 As you can see from the picture below at some point the lifter had been repaired with welds but these have rusted and broken off, at this point I undid the two small bolts as this and the channel the window sits in will be replace. 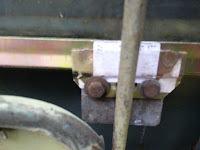 Bolt the new lifter in place and place the rubber protector in the channel you can use the original if it is in good condition or replace it. Reverse the process of taking the door furniture and you are done, the whole process took me half an hour whilst taking pictures but should only take around 10 -15 minutes the only bit I was really careful with was prizing the glass from the lifter so I didn't break it. 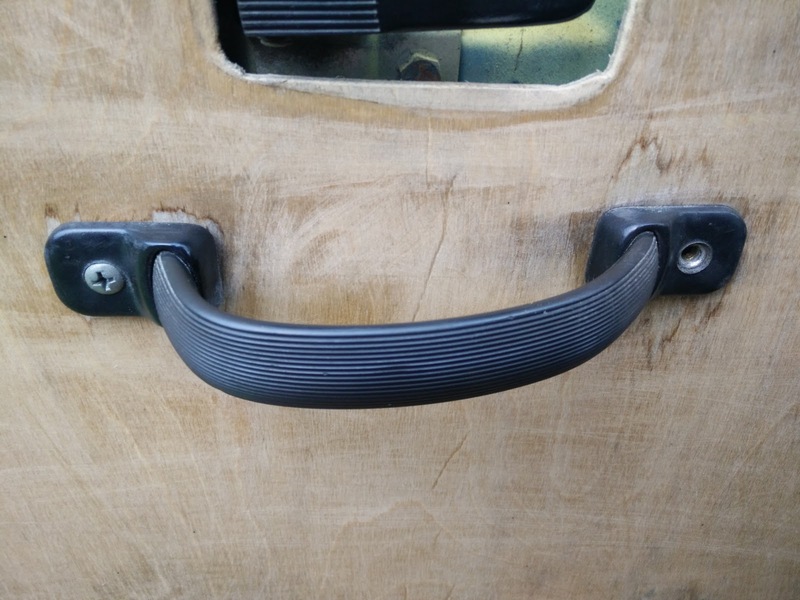 Last Tuesday I received my first order from justkampers.com, containing all the bits I needed to fit my window lifter and a cover to protect the Van from the harsh winter ahead. 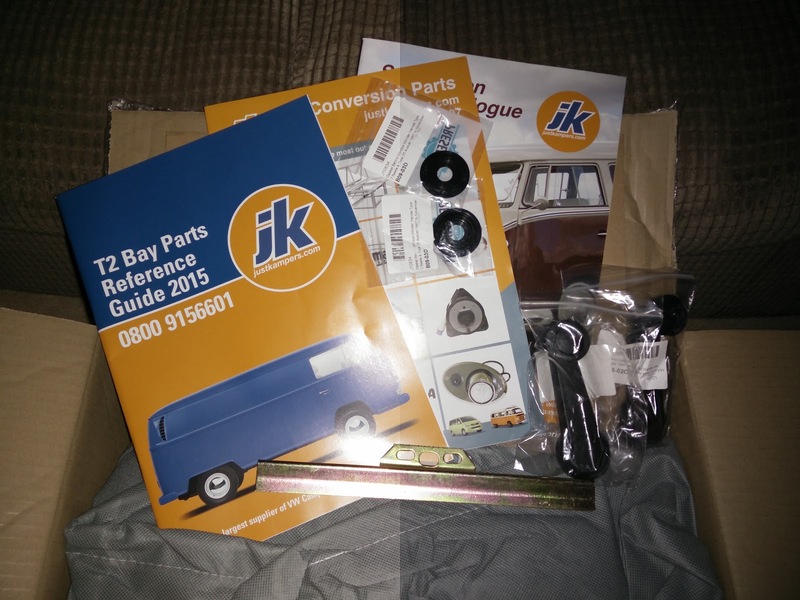 The level of service from JustKampers was brilliant the order process was simple and I was kept up to date with how it was being processed and it arrived two days early which was great as I had chosen the free postage option. 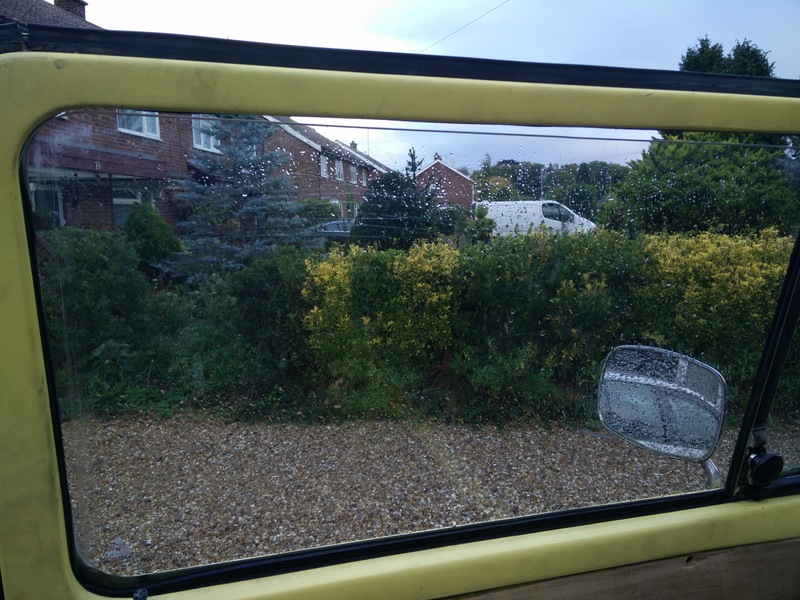 We picked up our Type 2 Late Bay this afternoon and I felt really sorry for the previous owners as it was clear they were reluctant sellers and drove the half hour route back from the other side of Cambridge in the regular crazy Saturday traffic without incident. 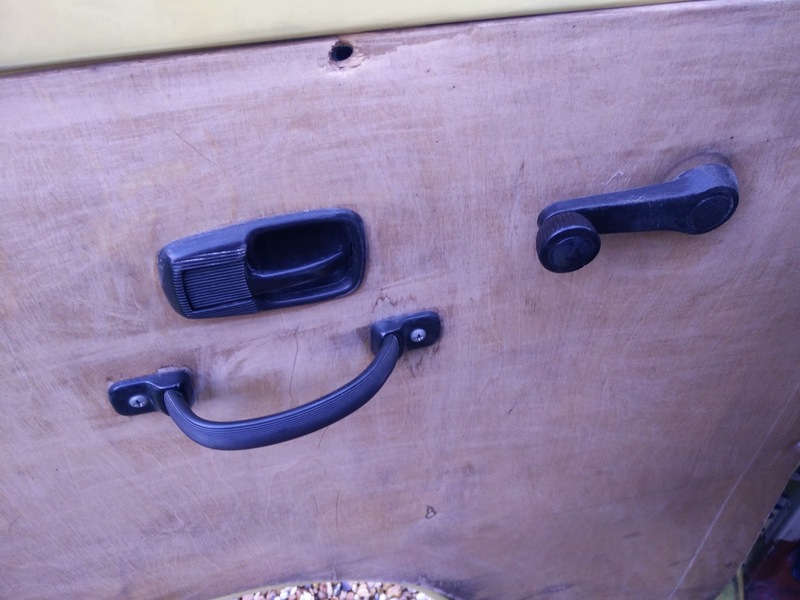 Five minutes after setting off an elderly couple walking along the street smiled and waved at me. At a set of lights, a couple in a car next to me started to wave and smile, this is completely new to me coming from the water-cooled scene. 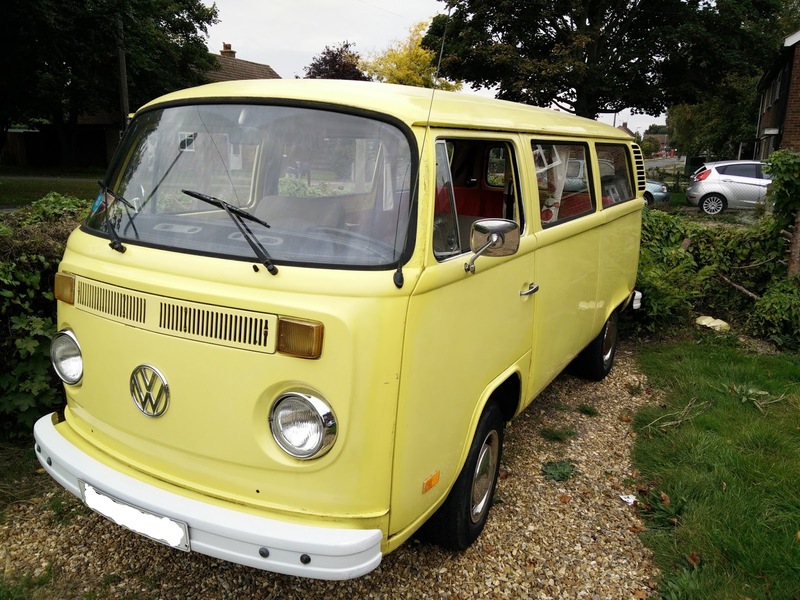 Finally after reversing it into the parking space on the drive I discovered my 1st mistake and hence began my experience of owning an older VW. I had wound the window all the way down and the window lifter had snapped off, cue a call to my good mate Tom who rushed to the rescue. 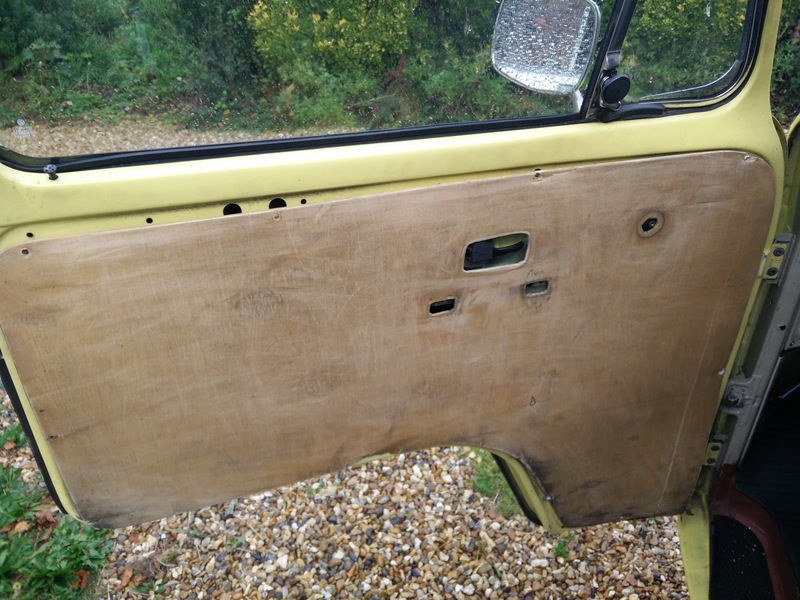 He showed me how to take the door card off and with a little bit of British engineering we have fudged it so the windows closes and a new part is winging its way to me.